Despite the order to the contrary from Texas Governor Greg Abbott, Syrian refugees will begin arriving in at least two Texas cites on Monday. The arrival follows last week’s withdrawal of a request for a restraining order by the Texas attorney general. Twelve Syrian refugees are set to meet up with their families who already live in the Houston and Dallas areas later on Monday. An additional nine Syrians are set to arrive in Houston on Thursday, according to KHOU-CBS11 in Houston. The twelve Syrians arriving in Texas on Monday include six children. Federal officials have stated they plan on settling 250 Syrians in Texas during the fiscal year which began October 1. Last Friday, Texas Attorney General Ken Paxton withdrew his request for a restraining order that might have blocked the federal government from coming to Texas. The attorney general said, in a statement reported by Breitbart Texas on Friday, that he will continue with the lawsuit to force the federal government to provide the state with additional information about the refugees about security screenings and the refugee’s backgrounds. President Obama’s representatives have continuously stated the states cannot stop them from delivering Syrian refugees they have admitted they cannot properly screen to the states who stand opposed on the grounds of security concerns. 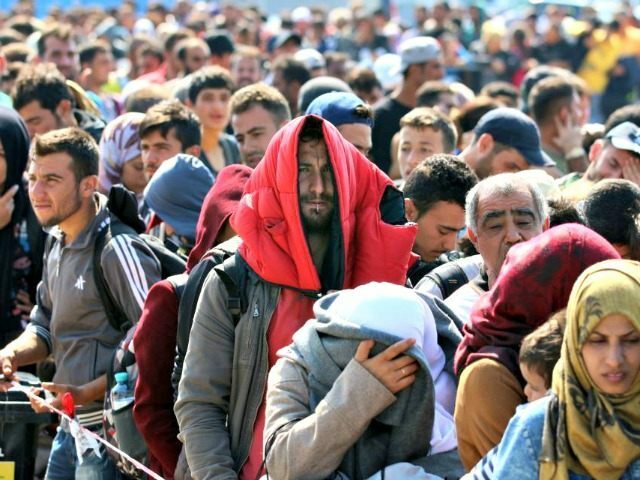 The Texas Health and Human Services Commission has threatened to withhold state funding from any charitable organization that participates in Syrian refugee resettlement, Breitbart Texas’ Lana Shadwick reported last week. A federal judge is expected to hear arguments in the lawsuit later this week, KHOU reported.